Latest News: save 10% on your Touring Caravan Insurance quote when you join our free Touring Caravan Insurance group. In contrast to other types of insurance we have reviewed, there is a limited amount of independent research on the quality of caravan insurance policies. However, we looked at an independent financial researcher's comprehensive review of the policy features and benefits of each policy. This researcher awards each caravan insurance policy on our list a rating out of 5 Stars. We've also looked at awards won by these companies to create this list, which is in no order. Caravan Guard scores highly because of positive customer scores. It has an average score of 4.7 out of 5 from over 650 reviews. Shield Total has a score of 5 out of 5 on Reviewcentre.com; however, this is from just one review. Meanwhile, E&L, despite receiving 4 Stars from an independent financial researcher, scores 0.8 out of a possible 5 from customers on Reviewcentre.com, based on 47 reviews. An alternative to going directly to each Caravan Insurance company for a quote is to compare caravan insurance using a website. This will enable you to compare the costs and policy features from a range of caravan insurance providers. Compare caravan insurance with Go Compare here. What's more, members of our Touring Caravan Insurance group can save 10% on quotes from Compare Caravan Insurance. The average cost of insurance for a touring caravan is £150 per year, according to CETA. 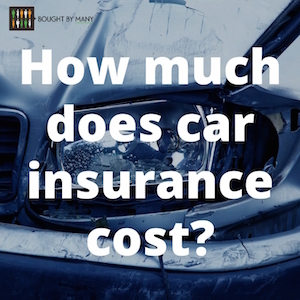 However, it could be cheaper or more expensive than this amount based on a number of different factors. For example, insurance for a Vanroyce caravan might be as cheap as £60 per year, while insuring a Coachman caravan may cost more than £200 a year. Remember, the best caravan insurance policy may not be the cheapest. Make sure the cover levels are appropriate for your needs. Help demand a fairer deal on insurance for caravan owners by adding your voice to our free Touring Caravan Insurance group, and save 10% when you get a quote online.